Z-Wave devices can be removed from the GC3 through system settings. From the Smart Home Settings menu, select the option of "Remove Devices" to put the GC3 system into exclusion mode. Once in this mode, clicking the function button on the Z-Wave device will remove it from the network. 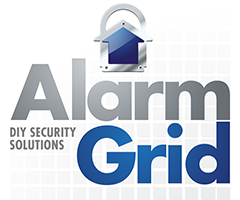 The 2GIG GC3 alarm and home automation system has a Z-Wave Plus controller integrated into the system. This controller can support up to 232 different Z-Wave devices at any given time. In addition to removing devices, the panel's Z-Wave exclusion function can be useful for troubleshooting purposes. If you’re having trouble adding a device, try performing the exclusion function first. By doing this, the system sends a command to the device to forget any network settings that it may have learned in the past. Once this has been done, it can then be included into the new network. Access the Z-Wave menu. On the main screen of the GC3, click on the System Settings button in the bottom-right corner. Enter your installer code (the default code is 1561). Click on Smart Home Settings. You will now be in the Z-Wave menu. Enable exclusion mode. Click on "Remove Devices". The system will display "Remove Devices Now" when it has successfully entered Exclusion Mode. The system is now ready to remove Z-Wave devices. Remove the device. Follow the directions on the Z-Wave device for exclusion. Usually, this means to follow the same steps you would to include the device, but the process some devices may differ. Once excluded, the system will display a message telling you that the device has been successfully removed. Back out to the main menu. Click the back arrow in the upper-left side of the screen. Continue backing out until the system is back to the Home screen.